Project Justice, known as Project Justice: Rival Schools 2 in Europe and Moero! Justice Gakuen (燃えろ! ジャスティス学園) in Japan, is a 3D fighting game released for Sega NAOMI arcade hardware by Capcom as a sequel to Rival Schools. It was later brought to the Sega Dreamcast. 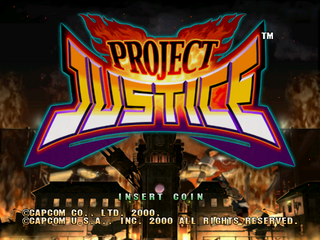 Main article: Project Justice/Magazine articles.